The successful candidate will be required to determine and specify electrical requirements and create electrical designs for all machine builds, ensuring all associated documentation is complete. He/she will support projects from an electrical design perspective from the initial concept stage to final completion of each project. Third level qualification in Electrical/Electronic engineering, Electrical Apprenticeship or other relevant electrical design related discipline. Experience in instrumentation and control panels. Solidworks electrical experience is essential. Attend initial design review meetings to discuss machine design and determine the electrical requirements. Create I//O lists based on mechanical design and client requirements and select the appropriate PLC Hardware. Tie in with Project Lead to determine specifications for components. Create initial power and control distribution lists/selection of suitable hardware for the Electricians to enable them to begin the panel building and wiring. Complete parts list for panel related components. Utilising Solidworks electrical to effectively design and manage all electrical schematics, panel layouts cable schedules and bill of materials for all components. Verification of safety control systems for machines using Sistema. Liaise with the Automation and Mechanical Design Engineers to ensure all electrical design revisions are up to date and consistent with any additions. Attend meeting as requested throughout the project. Manage multiple projects simultaneously while continuing to meet deadlines. End of project drawings update. Carry out any other reasonable duties and responsibilities requested by the Supervisor. 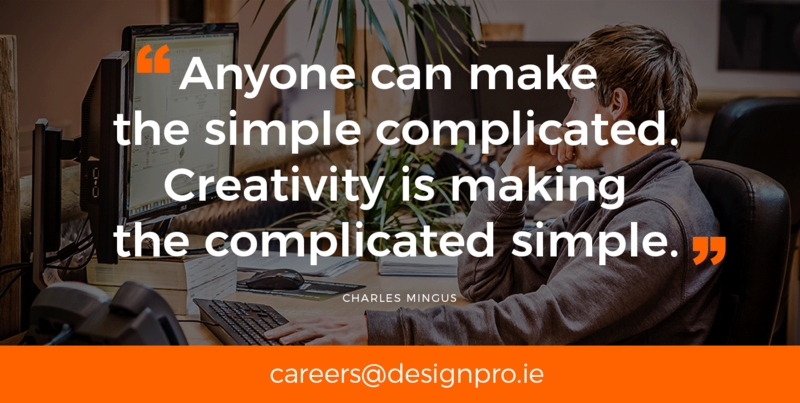 If you are interested in pursuing a career in a highly progressive, dynamic and team orientated environment, please submit your CV to careers@designproautomation.com or contact the HR Department on +353 (0)69 63842 Ext 312 for further information.